FORMER Wallabies captain Stirling Mortlock says "enough is enough" and something must be done to arrest the alarming decline of Australian sport. Mortlock is not just talking rugby - and he's not alone with his concerns. The new year marks the 20th anniversary of arguably Australia's greatest year in sport, when the Wallabies won the Rugby World Cup, our cricketers also won the World Cup and rode a record 16-Test winning streak and Australia were Davis Cup tennis champions for a 28th time. Australia's Olympians, backed by seemingly endless funding, were preparing for the country's most successful Games ever in Sydney. In that golden year of 1999, Australia were also netball world champions, Tri Nations rugby league winners, the Kookaburras and Hockeyroos both won the Champions Trophy and Mark Occhilupo and Layne Beachley were the men's and women's surfing world champions. Australia was indeed the envy of the sporting world, a country of less than 20 million people punching above its weight with athletic heroes everywhere you looked. 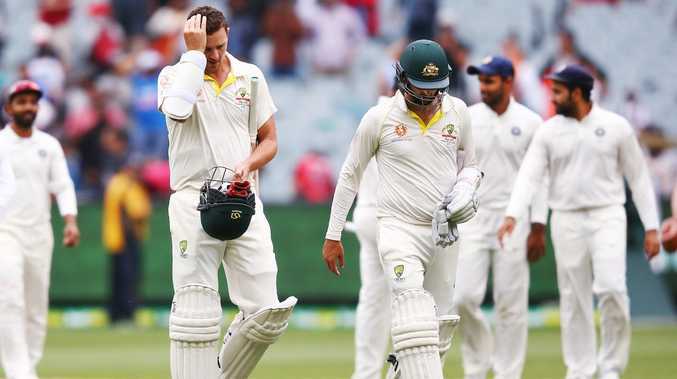 Two decades on and the beleaguered national cricket team has won just one of its past nine one-day internationals and the Wallabies can barely beat an egg. 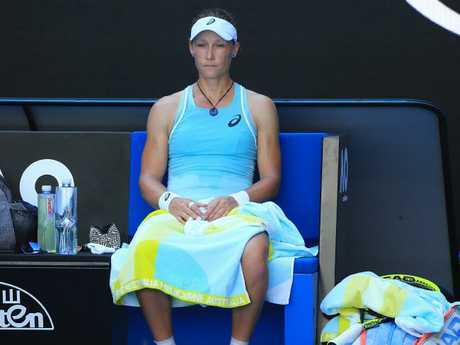 Sam Stosur is the only Australian to win a grand slam in the past 15 years. Samantha Stosur has been the country's only grand slam singles champion in 15 years and Australia's men's tennis stars are no longer even in the Davis Cup World Group. From the peak of 58 medals amassed at the 2000 Olympics, Australia's overall tally has steadily declined to the point that we brought home just 29 - precisely half - from Rio two years ago. The eight gold accrued in London in 2008 - again exactly half the amount from Sydney - was considered a blip. In reality, sports chiefs and the government should have seen the crash coming. Like squash centres a generation ago, tennis courts across the country have been wiped out, or left to grow weeds instead of producing champions. Greedy councils have discouraged exercise, let alone promoted sports participation, by sending in overzealous rangers to book motorists for having the nerve to park near recreational facilities. Play stations, I-pads and other demon screens have turned children into zombies and adults into couch potatoes. 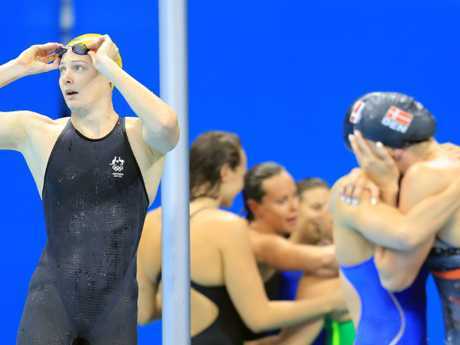 Cate Campbell looks away as the United States celebrate gold in the women’s 4x100m medley relay in Rio. Picture: Alex Coppel. It's easier to order home delivery than walk 150m to pick up your takeaway these sad days. Australia has become one of the most obese countries in the world, reducing our "Bronzed Aussie" image to a myth and prompting Sport Australia's "Move it or Lose it" campaign in a bid to shake the 80 per cent of inactive Australian children and 50 per cent of inactive adults into action. It's not all doom and gloom, with Australia still boasting a sprinkling of world beaters, enjoying a revolution in women's sport and finishing 10th on the 2016 Olympic medal table. But that's still down from fourth in Sydney and Athens and the country's worst showing since 1992. There is no escaping the inconvenient truth: Australia is a fading force in international sports performance. Sporting bodies - and elite athletes - have been begging for more money for years, with government funding to Australia's Olympic sports dropping 20 per cent since 2008. While the AOC has called for an extra $60 million in funding for Olympic endeavours, the AIS in November announced a new model that freezes funding levels for some sports and drops financial support altogether for others. "It's very difficult to planand produce high performance in this environment," said AOC chief executive Matt Carroll. "There is simply not enough money in the system." Mortlock agrees. "I was very lucky to come through at a time when I did. Got access to the AIS when the AIS was world leading," he told AAP. "You look at England prior to them hosting the Olympics and how much resources - aka time and money - they invested in allsports and they were very successful over that period of time. "There's a lot of other things that go into having quality outcomes across all sports. "You look at the landscape of most sports now and a lot of the good coaches aren't actually in Australia." In cricket, Jason Gillespie, Michael Di Venuto and Stuart Law will coach English county teams in 2019 as Trevor Bayliss again plots Australia's Ashes downfall as England coach. After qualifying the Socceroos for the 2018 World Cup, Ange Postecoglou walked and wound up working in the J-League. Tennis super-coach Darren Cahill has spent years in the US winning slams with Andre Agassi and taking Romanian Simona Halep to the top of the women's game. Golf superstar Jordan Spieth credits Victorian Cameron McCormick for much of his success, while heavyweights Eddie Jones, David Nucifora, Andy Friend and Scott Johnson all left the Australian rugby ranks to coach enemy outfits as the Wallabies wallow in their lowest ever world ranking. The list goes on. Name a sport and you can generally find an Aussie coaching in or for another country. The bottom line is Australia is no longer prepared to pump the resources into sport - and the results are damning. In November, Prime Minister Scott Morrison refused to address calls to reverse the funding crisis even after almost 200 currentand retired Olympians including Cathy Freeman, Dawn Fraser and Herb Elliott signed a petition demanding a meeting. "The more effort and resources you put into something - be it our sport or a system - the better the outcome will be eventually," Mortlock said. "That's just been a bit of a state for our country for a period of time and sometimes it takes enough is enough. "Back to my sport - rugby - and I'd argue that enough is enough and the 'oh Jesus' moment should have happened many years ago. "And you could probably say that across all sports if you want to stop that negative spiral."